In 1965 Werner Furrer used a piece of plywood, some glue, varnish and wooden dowels made for the clothes hangers in his closet, to scrap together a paddle for his newly purchased kayak. A professional engineer, Furrer was living in Hoquiam, Washington at the time with his wife Martha and their four kids. Paddling quickly became the family sport. Today Werner Paddles employs nearly 100 people, makes hundreds of paddles every day and has athlete ambassadors traveling the globe with Werner sticks. In the ‘60s though, the Furrers made just enough paddles to outfit the family, plus a few extra to account for breakage when they started racing on whitewater. By 1970, signs of business were stirring. Friends who paddled with the Furrers started asking to buy their blades and Werner Jr., the eldest Furrer son, saw it as an opportunity to support a career in slalom racing. With the help of Werner Sr., he sold 47 paddles in 1971, at seventeen dollars each. 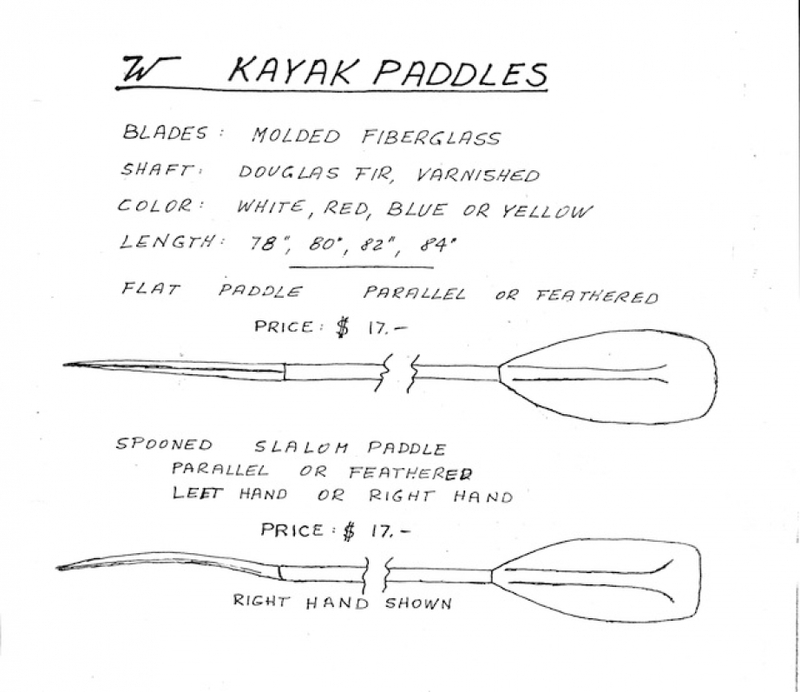 Werner Sr. took care of the bookkeeping and business side of things, including drawing this brochure from 1971, which reads, “Specifically selected material, design based on extensive experience in connection with developed skills created these paddles.” They were always built for personal use first, and eventually crafted for sale once they’d been tried and tested. “Everyone was involved at some point,” says Bruce. “Extra help from family was always needed when an order came in.” When the popularity of kayak touring blew up in the early ‘80s, Werner Paddles officially outgrew its roots as a family garage business. They found industrial space in Everett, WA, incorporated, and business took off. Although the molds are more precise and the carbon fiber is higher tech, a Werner paddle you buy today was crafted using methods surprisingly similar to how they were made from the start. It’s also branded with a logo that evolved as the Furrer family symbol: a W for Werner Sr. and an M for Martha, surrounded by a circle symbolizing their family, and two birds representing freedom. This article first appeared in the Early Summer 2015 issue of Rapid magazine. 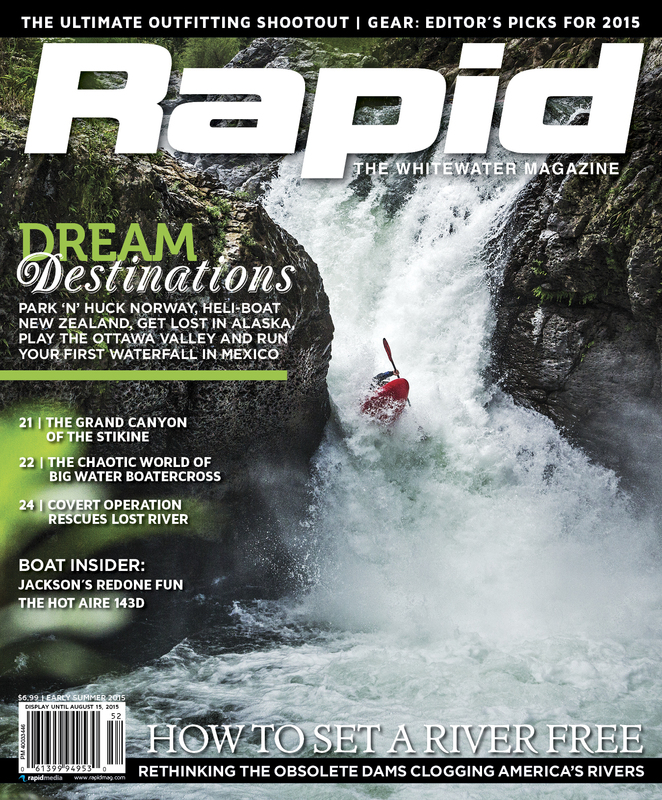 For more great whitewater content, subscribe to Rapid’s print editions and digital editions, download issues on your device or view the Spring 2015 issue for free on your desktop.